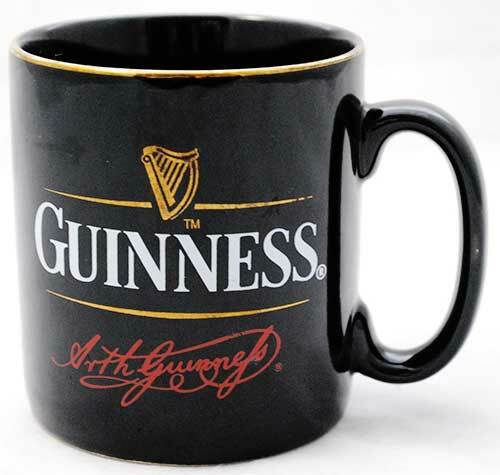 Enjoy your coffee from this Guinness mug that holds 8 ounces. The black ceramic mug features the iconic Guinness harp and it is gift boxed. This Irish kitchen accessory is just one of the many Guinness gifts that are available at The Irish Gift House. The shamrock coffee mug is enhanced with a Celtic knot motif.